XIX Scientific Conference dedicated to the life and work of Professor Ivan Berkes organized by the Society of Medical Biochemists of Serbia, Scientific Fund "Professor Ivan Berkes" and the Institute of Medical Biochemistry Military Medical Academy was held at the Military Medical Academy. 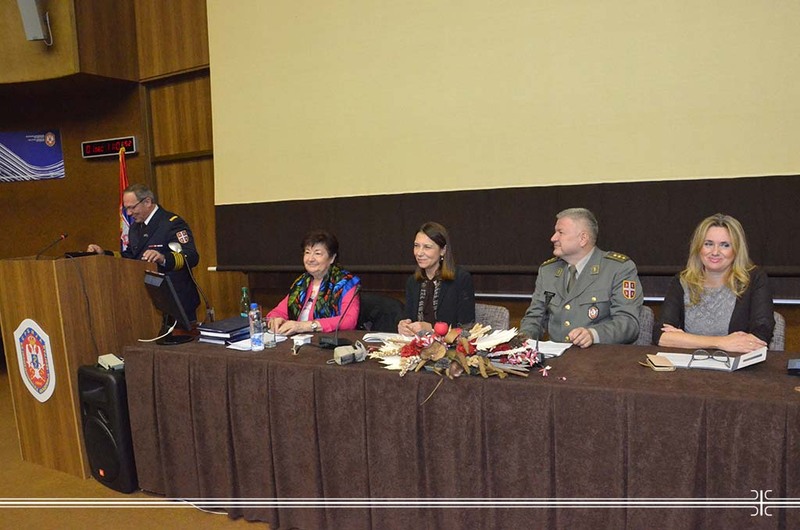 In his opening speech, Dean of the Medical Faculty of the Military Medical Academy, University of Defence in Belgrade Colonel Prof. Dr. Nebojsa Jovic said that the MMA is especially proud that once again it is the meeting point of a large number of biochemists. He stressed that this is an opportunity to learn about the latest developments in the field of which progress modern medicine, modern diagnostics and treatment of patients depend on and congratulated the best students of the Faculty of Pharmacy in Belgrade - winners of the professor Berkes award. The audience was addressed by the Dean of the Faculty of Pharmacy, University of Belgrade Prof. Dr. Zorica Vujic. She emphasized that today's Conference continues the tradition 19 years long and that this is an opportunity to once again show respect to the doyen of medical biochemistry and clinical enzymology in our region. The Organizing Committee of the Conference headed by prof. Dr. Nada Majkic-Sing, presented the diplomas to the laureates of the Scientific Fund "Professor Ivan Berkes". Awards were given to the best students of pharmacy in the past year for the ultimate contribution in the fields of pharmacy and medical biochemistry. A series of lectures on the latest research in the field of medical biochemistry were delivered in the scientific part of the conference, and participants had the opportunity to hear the presentations of the best doctoral dissertation.